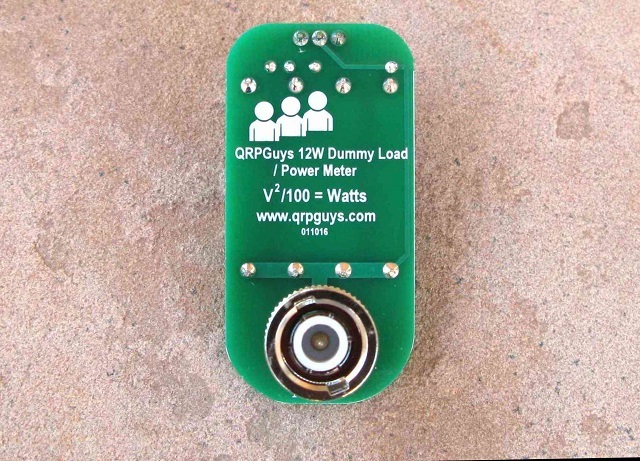 The QRPGuys Dummy Load/Power Meter is a 50 Ω, 12W rated terminated load that is useful tool when setting up or diagnosing most low power transmitters. 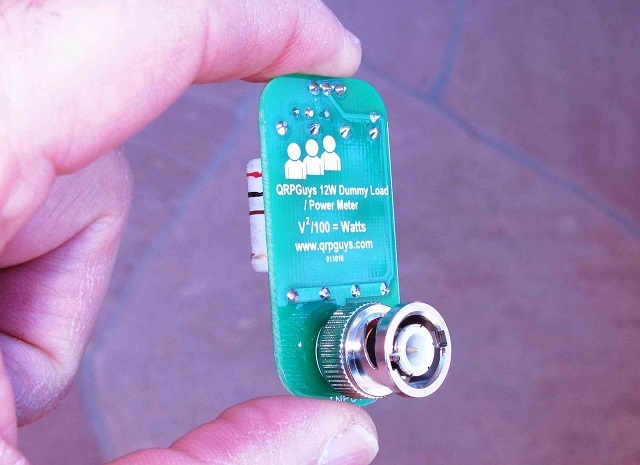 Useful range is from DC to 150MHz. up to 12 watts. With the use of an inexpensive 11 Megohm multimeter, and a little math, you can measure the power output into the 50 ohm load. 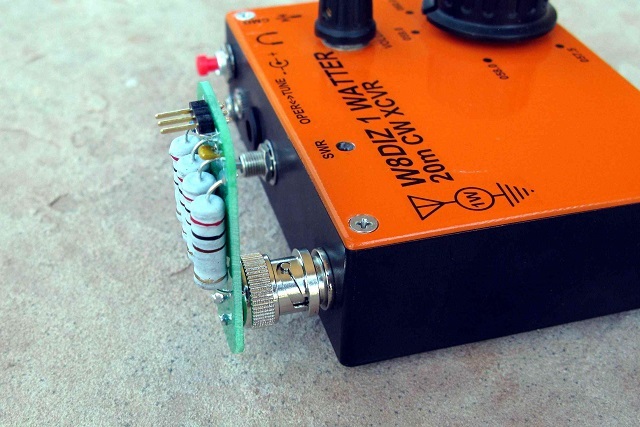 The rated voltage of the detector diode is 70v, so measurements should be limited to 12 watts. 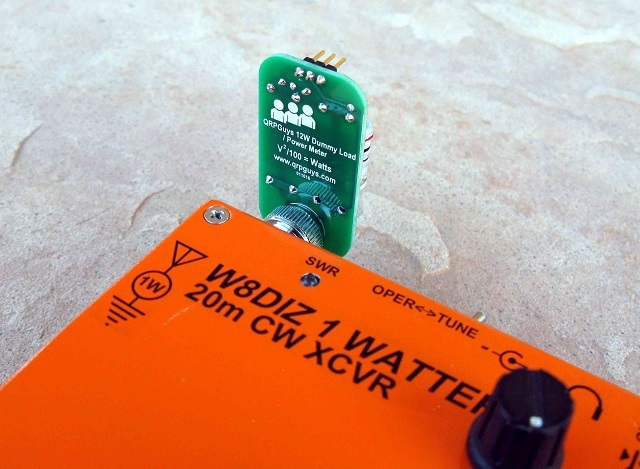 There is also a terminal for direct RF from the transmitter for monitoring the envelope with an oscilloscope. 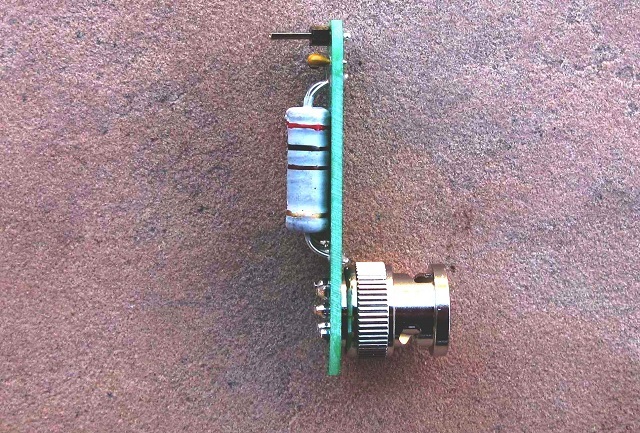 It has an integral BNC male connector, so the use of an M/M adapter is not needed. 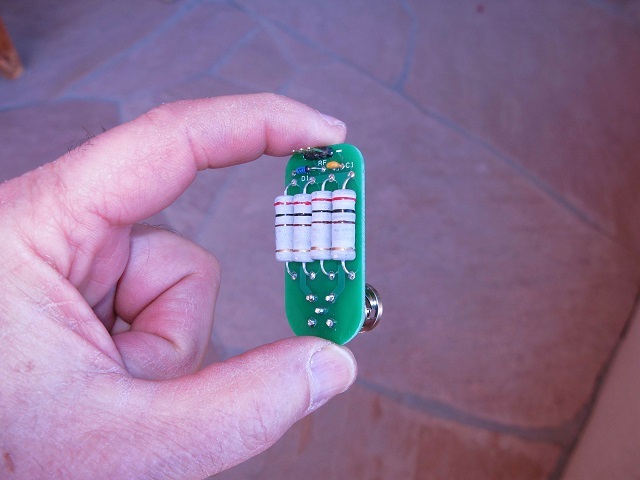 It is 1” wide x 2” long, light weight, throw it in the go bag, and no cables needed. 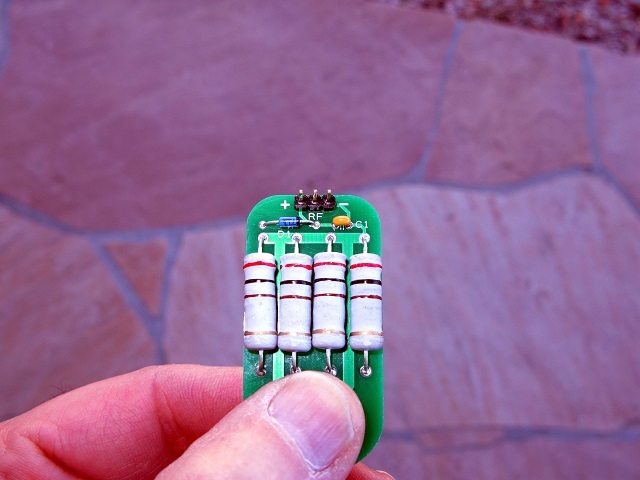 The required tools for assembly are a soldering iron with a small tip, rosin core solder, small side cutters, and can be built in less than a half hour. On a difficulty scale of 1 to 5, 5 being the most difficult, this is rated at 1.